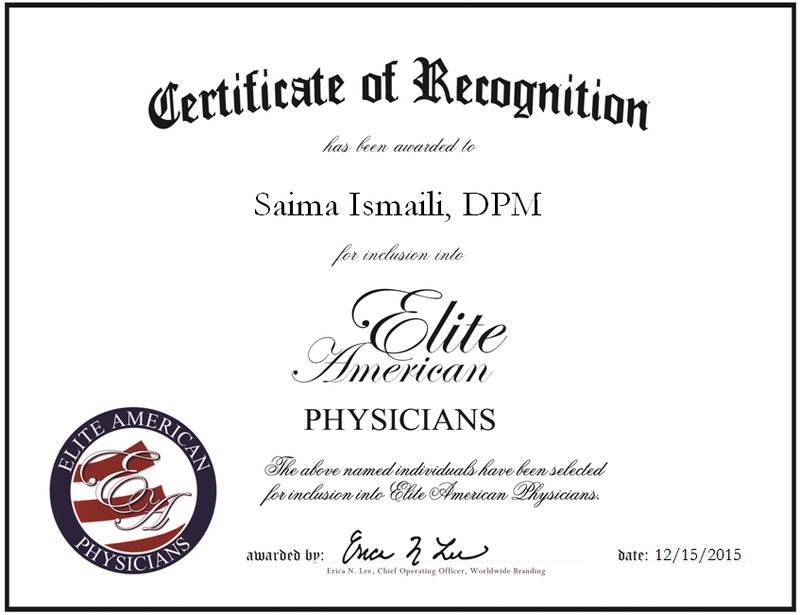 Charleston, SC, December 15, 2015, Dr. Saima Ismaili, Doctor of Podiatric Medicine at Carolina Foot Centers, has been recognized by Elite American Physicians for dedication, achievement and leadership in foot and ankle care. Dr. Saima Ismaili was inspired to practice podiatric medicine after watching her family suffer from foot conditions. She obtained a Doctorate of Podiatric Medicine from the Scholl College of Podiatric Medicine at Rosalind Franklin University in 2006. Her postgraduate training consisted of two years of medical and surgical training at Provena St. Mary’s Hospital in Kankakee, Illinois, outside of Chicago. 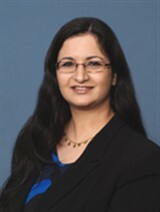 Dr. Ismaili was trained in all phases of podiatric medicine and surgery. She is board-qualified by the American Board of Podiatric Surgery, and is an active member of the American Podiatric Medical Association and the South Carolina State Podiatric Medical Association. Dr. Ismaili is affiliated with Roper Hospital Systems and James Island Surgery Center. Currently, Dr. Ismaili treats approximately 30 patients a day and specializes in diabetic foot care. She attributes her success to her training, drive and supportive family. In five years, Dr. Ismaili plans to establish better patient care, and expand and improve her practice. She enjoys living in Charleston and treating patients in the area. This entry was posted in Podiatry and tagged diabetic foot care, foot and ankle care, foot conditions, Podiatric Medicine, podiatric surgery. Bookmark the permalink.